Garbage Guys, Inc. dumpster rental, roll off rental, junk removal and trash cleanup in Cheyenne, Wyoming. 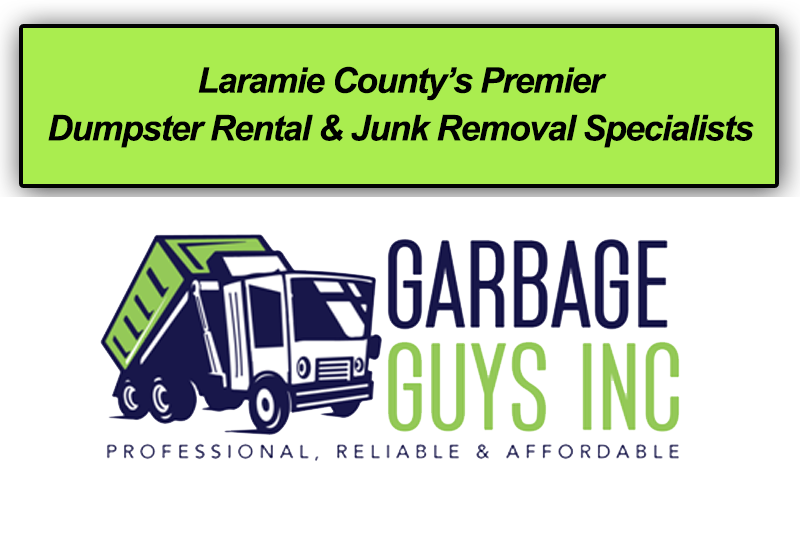 The Garbage Guys offer premier roll off rental services and are proud to serve Southeastern Wyoming. Garbage Guys, Inc. has a single mission: complete customer satisfaction 7 days a week! We strongly believe in giving our customers the most for their money. We work with only the highest quality materials and most experienced professionals. We have consistently focused on the needs of our customers, providing personalized attention and a stress free experience. This approach has set us apart from our competition and keeps our customers coming back! "Lynn Buys Houses has been a customer of the Garbage Guys since their beginning. They wowed us from the start when they took on a monumental job of removing 500 tires and truck loads of rotting wood from a property we had purchased and did so quickly and efficiently. They continued to impress us with their hard work and integrity which is why we switched from the only disposal company we had used to date to the Garbage Guys. We made the switch not only because their pricing is competitive, but mostly because their customer service is superior to any company we had worked with to date. We highly recommend them to anyone who needs anything cleaned up, cleared out or needs a way to dispose of anything. There really isn't anything fun about cleaning stuff up, but Garbage Guys makes it as easy as possible with their service and professionalism." Who? We are the Garbage Guys! What? We offer premier roll off rental services. When? We are available 7 days a week to better serve you the customer. Where? We are proud to serve Southeastern Wyoming. Why? We are affordable, professional, and reliable. We believe that through customer service, we build long lasting relationships.